The Israeli Navy’s murderous assault on the Gaza Freedom Flotilla has been described as a bungled and botched operation and a diplomatic disaster for Israel. It is all of that, but more important, it is a crime against the law of the sea in the context of a larger crime against humanity – the siege of Gaza. We present here two statements from leading activist voices of the anti-Occupation struggle inside Israel. As events are moving swiftly, we will post statements from Arab, Turkish and international participants in the flotilla as they become available. The next phase in this drama is the looming confrontation between the Israeli state and the Rachel Corrie, the other ship preparing to break the blockade. For U.S. citizens it is especially critical to demand that our own government immediately cease its sponsorship of the blockade of Gaza. Undoubtedly the Egyptian government will be responding to U.S. wishes as to whether to keep the Rafah border crossing open permanently, not just for a few days. And the BDS (boycott/divestment/sanctions) campaign now has the potential to become an international mass movement to End the Occupation once and for all. We mourn the victims of Israel’s assault in international waters and pledge our solidarity as the struggle continues in their memory. An act of piracy, war crime, blatant violation of international law, murder of unarmed civilians – each and every definition used by the international media over the past 30 hours is true, and all together besides the point. The murderous Israeli operation is, in fact, the expression of the new Israeli modus operandi. And as such it is frightening. All over the world, men and women are asking: why? Why such a crime that looks completely disfunctional and even counter-productive? Why provoke a major crisis with an ally-country like Turkey? Why aggrevate the European Union that is trying to upgrade the status of Israel in the European market? Why shock and provoke the entire international community? In order to understand such apparently irrational Israeli behavior one must go back 1.5 years ago, to Israel’s massacre of Palestinians in the Gaza Strip in December 2008-January 2009. This aggression against Gaza, the bombardment and shelling of a city where a million of men, women and children are living, provoked a unanimous world-wide shock, and rendered the State of Israel, in the eyes of hundreds of millions of people, a rogue state with no respect for human life and international law. 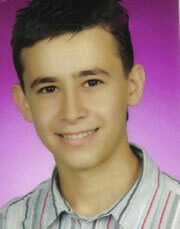 Furkan Dogan, 19, in his senior year at Kayseri High School where he was awaiting the results of his university entrance exams; hoped to become a doctor. Loved chess. Son of Dr. Ahmet Dogan, Assoc Prof at Erciyes University. A Turkish-American dual national, with two siblings. The strategic decision of Israel was to divorce the international community and ignore international public opinion. Back to the old Golda Meir slogan: “No matter what the gentiles say, what counts is what the Jews are doing”. Two or three years later, Israel was surprised and defeated by the Arab armies, and only massive emergency aid from “the gentiles” – in that case the United States – saved Israel from what Golda Meir herself called “the destruction of the Third Temple”. Such an isolationist strategy can work only if the United States is behind Israel, and obviously they are. But they are also very angry with Israeli leaders, who are not at all ready to adapt their policies to US global interests, in particular the refusal of Benjamin Netanyahu to freeze settlement activities in the West Bank. And now Israeli rulers are creating a crisis with the second most important asset of Washington in the eastern Mediterranean, the Turkish Republic. Cooperation between Turkey and Israel is at the heart of NATO military deployment in our region and shaking this strategic alliance may have dramatic implications for American security policy. An act of aggression against Turkey is, in fact, an attack against US interests in western Asia. Unlike the Israeli military establishment, which is well aware of that reality, the Israeli politicians are still trapped in the neo-conservative conception of a clash of civilizations. 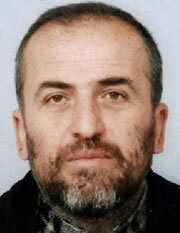 Ibrahim Bilgen, 61, an electrical engineer from Siirt. Member of the Chamber of Electrical Engineers of Turkey. Ran as a Saadet (Felicity) Party candidate in the Turkish general election of 2007 and the Siirt mayoral election of 2009. Married with 6 children. Although Turkey is a non-Arab secular state, the fact that it has a Muslim population made it, for the ignorant and racist Israeli leadership, part of the Arab-Muslim menace against Israel, a part of the barbarian camp that is threatening the “Judeo-Christian civilization”. Armed with such an “analysis”, Ehud Barak – him again! – decided to teach Turkey and the whole world a lesson. As usual, Barak lost his gamble and Israel will have to pay a heavy price for its and his autistic arrogance. Part of the price is a greater dependence on the US and more receptivity to White House demands. In a sense, the Palestinians can be the winners in this Israeli fiasco, if their leadership knows how to play. Will they? Cengiz Songür, 47, from Izmir. Married to Nurcan Songür; six daughters and one son. Israel’s attempt to divert argument away from its blockade on Gaza, and over to the resistance that its troops encountered while attacking the Blue Marmara, is futile and grotesque. Let’s suppose for a moment that its commandos were attacked, as Israel claims, while invading this ship in the Freedom Flotilla. Here you have soldiers sent to prevent civilians from breaking a siege, while there you have 1.5 million Palestinians caught in a three-year humanitarian catastrophe. The siege is justified, Israel claims, because Hamas holds its soldier, Gilad Shalit, under conditions that violate international law. Most of the world does not accept this excuse. What is more, the European Union and others cast doubt on the blockade’s effectiveness, claiming that it merely deepens Palestinian suffering and strengthens Hamas. International public opinion views the ongoing Israeli-Palestinian conflict as the result of sheer stubbornness on the part of Israel, which isn’t ready to pay the price of peace—namely, an end to the occupation and recognition of the Palestinian people’s right to a sovereign state. Israel is a victim indeed—but of its own refusal. The long-lived Zionist consensus, which views the Land of Israel as the exclusive inheritance of the Jewish people, has victimized the Palestinian people. In its suffering, this people has become the banner of the international community across the political spectrum—on the left among lovers of freedom, people of peace and fighters for human rights, and, unfortunately, on the right, among anti-Semites and fundamentalists. 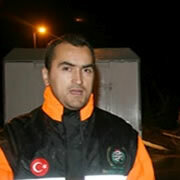 Cevdet Kiliçlar, 38, from Kayseri. A graduate of Marmara University’s Faculty of Communications, he was a print journalist for the National Gazette and the Anatolia Times. For the past year he was a reporter and webmaster for the Humanitarian Relief Foundation (IHH). Married to Derya Kiliçlar; one daughter, Gülhan, and one son, Erdem. Within Israel, ever since the breakdown of the Camp David talks ten years ago, discourse between right and left, between the proponents and opponents of the occupation, has been limited by mutual agreement that there is no partner for peace. This view was reinforced when Hamas took control of Gaza in June 2007. Hamas, for its part, demands the lifting of the siege and the recognition of its government. These are its immediate strategic goals. It works to achieve them by every possible means, from rocketing Israel (which provoked Operation Cast Lead) to the current flotilla of aid ships. Opposed to Hamas is the Palestinian Authority under President Abu Mazen and Prime Minister Salam Fayyad. The PA’s success is measured on a zero-sum basis against that of Hamas. The two are engaged in a dispute concerning relations with Israel. Hamas demands an end to negotiations with Israel and the continuation of struggle, including the use of arms. The removal of the Gaza blockade will signal to Palestinians that the Hamas approach is right; it will deliver a lethal blow to the credibility of Fatah. Israel, one would think, should therefore be interested in helping the PA against Hamas. Here, however, we see how deeply refusal runs in Israel’s veins. The absolute unwillingness of its government to make progress in negotiations and talk about core issues—borders, refugees and the status of Jerusalem—leaves the PA helpless, bolstering Hamas. 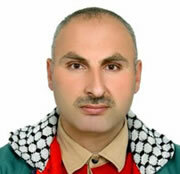 Fahri Yaldiz, 43, a firefighter who worked for the Municipality of Adiyaman. Married with four sons. The siege of Gaza also has a regional dimension. It strengthens Hamas’ allies in the Middle East, above all Iran, while drastically weakening the status of the US. It creates public opinion that is hostile to American soldiers in Afghanistan and Iraq, and it hinders the Obama administration from creating enough governmental stability to enable American withdrawal. As for Washington’s friends in the region, from Egypt to Jordan and Saudi Arabia, they bear the burden of the pressure exerted by the radical Islamic axis. In this way, the resolution of the Israel-Palestine conflict had become a strategic American interest. Until now Israel has refused to cooperate with Obama. Its prime minister, Binyamin Netanyahu, waits patiently for the US mid-term elections in November, hoping that the Democrats will lose their congressional majority and that Obama will be weakened. The severe cracks in the historical relationship between Israel and America have paved the way for Turkey—an old-new player—to enter the arena. Since the election of Recep Tayyip Erdoğan, who represents the Islamic Movement, and since the non-admission of Turkey to the European Union, this country has distanced itself from the West, building on alliances with its neighbors: Iran, Syria and other Arab states. Gaza serves as an entry ticket for Erdoğan’s Turkey into the heart of Arab public opinion. 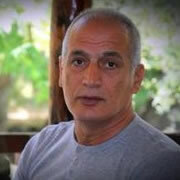 Çetin Topçuoglu, 54, from Adana. Former amateur soccer player and taekwondo champion, who coached Turkey’s national taekwondo team. Married to with one son, Aytek. In the demonstrations launched by Hamas to support the flotilla activists, Erdoğan’s picture was raised aloft, and not by chance. Most of the funding for the “Flotilla to Free Gaza” came from a Turkish Islamic charity that supports his political party. Thus the Gaza siege creates a new regional conflict between two important American allies, Israel and Turkey. Like its other friends in the region, the Turks face Washington with a hard choice: Israel or us! In an effort to reconcile these allies, the Obama administration is brokering a deal that might ease tensions by accepting, to some extent, the Turkish demands: immediate release of the detainees (already done), the establishment of an investigative committee, and the lifting of the siege on Gaza. Israel is studying these demands with the utmost seriousness, because it fears for its strategic relations with Turkey and wants to avert another Goldstone Report. 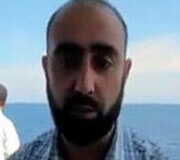 Necdet Yildirim, 32, an IHH aid worker from Malatya. Married to Refika Yıldırım; one daughter, Melek, aged three. In addition, for a long time now, Obama has been pressing Netanyahu to change the composition of his government and get free of his right-wing partners. Washington wants to see him heading a new coalition based on the Likud, Kadima and Labor. There is little doubt that Obama will now exploit Israel’s international crisis to push for a change in its policy. The current right-wing coalition, featuring racist Foreign Minister Avigdor Lieberman, has lost its legitimacy in the eyes of the world. If Netanyahu cannot extricate Israel from the international blockade it has brought on itself, the country will be faced with another external inquiry like Goldstone’s, as well as demands that it ratify the nuclear non-proliferation treaty, not to mention a widening boycott of its universities and products. The failure of Operation “Spirits from Heaven,” from the macho school of Defense Minister Ehud Barak, brings nearer the day of radical political change in Israel, which may result in new elections. Here, however, a note of caution is needed: a new government will still be center-right—no recipe for a solution. Israel has known many governments—of Labor, Likud and also Kadima. All failed the reality test. All avoided confronting the settlers, All entered negotiations with the PA as a mere delaying tactic to soften criticism from the West. 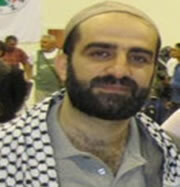 Cengiz Akyüz, 41, from Iskenderun. Married to Nimet Akyüz ; three children – Furkan (14), Beyza (12) and Erva Kardelen (nine). One big question hovers in the air: how far will the American president go in his attempt to resolve the conflict? Until now Obama has supported the siege on Gaza, imposed Salam Fayyad as Palestinian prime minister, and perpetuated the appointment of Lieutenant General Keith Dayton as high commissioner, in effect, of the Palestinian police, who serve the security interests of Israel. At the same time, Obama remains fuzzy on the nature of prospective Palestinian sovereignty, the future of Jerusalem, and the refugee question. As long as Washington avoids saying unequivocally that it supports the establishment of a sovereign Palestinian state within the borders of June 1967, all Obama’s efforts, including the attempt to change the composition of Israel’s government, will remain fruitless, and the region will continue to deteriorate. The present dispute with Turkey, following the flotilla of blood, shows how slippery is the slope down which we slide. The Middle East is divided today between fundamentalist regimes and dictatorial pro-American regimes. Between these stones its peoples are ground. Utterly missing in the public discourse are the oppression and poverty from which the workers are suffering—whether in Egypt, where they demonstrate for a raise in the minimum wage, lifting loaves of bread before the parliament of Hosni Mubarak; or in Iran, where they struggle against privatization and joblessness under Ahmadinejad. In Turkey also the workers have gone to the streets in recent months against privatization and unemployment. The workers of the Middle East do not have a party to represent them. Their voice is not heard. Israel too can hardly be said to seek the good of its citizens. Jews and Arabs alike suffer here from a gloves-off capitalist regime, which discriminates against workers and tramples their rights. The occupation sharpens the suffering of both peoples. In recent years the number of those who are both employed and poor has grown. Among households with one breadwinner, 36% were beneath the poverty line in 2008/9. Solidarity between Jewish and Arab workers is the only way to overcome the cycle of bloodshed. The supreme interest of the workers on both sides of the conflict is to build a political and social alternative, egalitarian and humane, against a right-wing Zionist chauvinism and an Islamic fundamentalism that are leading both peoples into catastrophe.